Some recent projects for our happy clients. Leading UK Plastic Manufacturer Achieves Substantial Savings with the Briars Group Full-Time Equivalency Model. Getting the right outsourcing model for larger companies can be an expensive procedure. While smaller companies benefit from buying the experience and peace of mind that comes from fully professional business services on an hourly basis, for larger corporate companies who need extensive services the hourly rates are not cost effective. However, having a full in-house team for a whole host of business functions such as HR, Accounting, Tax, Payroll, Banking, Secretarial, IT and Business Administration is not only expensive, but also means that they enter a world of competency, training and management needs, not to mention office space, absence and resource headaches. One chemical manufacturer was facing just such issues. It was finding that resourcing these critical business functions was pulling focus from developing their primary service offering and inhibiting their growth opportunities. They needed something scalable and hassle-free, but reliable and completely familiar with the company’s needs and methods. After speaking with Briars Group, the plastics producer found the perfect solution. By moving to the Briars Full Time Equivalent (FTE) model, it was able to get the best of both worlds. The experienced Briars team reviewed the company’s operations and agreed upon the services to be included within the model according to their specific needs. The next step was the design and implementation of an Operations Procedure Manual (OPM) which was developed with all of the relevant stakeholders to become a manual for the roles and responsibilities for the company’s full-time offsite team. The OPM is regularly updated and dictates all aspects of business processing including lines of reporting, levels of authorisation and cut-off dates while also being compliant for both internal and external audit teams and offering an effective resource for cases of due diligence pre-acquisitions. The result, for the chemical industry specialists completely revolutionised the way they were able to approach their business development. With a bespoke team focused solely on their business needs, they are now able to focus fully on their business ambitions. The service means that there are no issues with absences or resourcing across their cost centre services and they have a substantially reduced cost base without raising staff headcount. Similarly, as the UK based team has global expertise, this single solution covers their international offices and allows them to keep expanding into new territories. 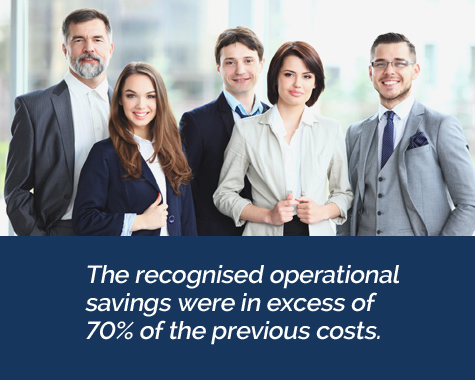 The recognised operational savings were in excess of 70% of the previous costs. If you are looking for a solution for your business needs please contact us and we will be happy to discuss your requirements. Internal due diligence is an important factor for measuring how a business works by reviewing its processes with the aim to improve efficiency and profitability. It is only when you fully understand business operations – in terms of strengths, weaknesses and adaptability – that changes can be made to maximise its potential. One example of how Briars assisted a client is in the luxury goods market, which is just one of many sectors in which we operate. Our client engaged us to carry out an internal Due Diligence Review which led to a detailed report that looked closely at the entire spectrum of the cost centre aspects of the business model, including: accounting; procedures; compliance; risk; operations; stock reporting and business processes as a whole. The majority of clients that use this service do not have their own in-house specialist teams to carry out complex and often labour-intensive investigations or audits. Briars is therefore often called to identify and resolve internal issues such as verification of data for statutory audits or the need to identify ways to streamline and reduce operational costs. Whatever the reason for an internal audit our first step is to identify objectively the ‘pain points’ which could be causing the business to not run to its full potential. Our company-wide research resulted in a detailed report per territory and business unit on all areas requiring improvement or streamlining. In this case our comprehensive report focussed on improving overall efficiency and profitability. It was a complex, multi-jurisdictional compliance – focussed project, which tackled the unique challenges of this specialist sector. After a preliminary risk assessment, the project plan was created, agreed and implemented. This lead to a series of reports showing the main areas of risk, their financial and human impact as well as remediation plans. After client approval, we implemented the solution and the core objectives were soon achieved. The client was able to improve efficiency and the client’s team trained to maintain those standards. The reward? 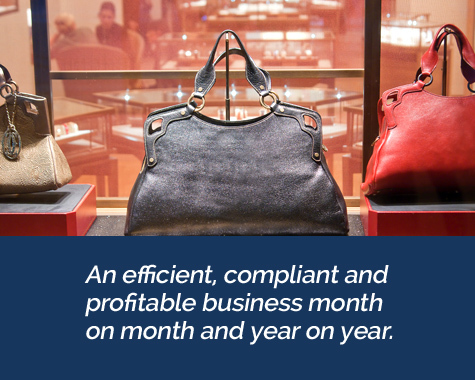 An efficient, compliant and profitable business month on month and year on year. We will be publishing more case studies soon.